We’re not your typical zoo, and because of that, we often get asked lots of great questions by first-time visitors. To help you plan your visit and give you a better idea of what to expect once you’re here, check out the answers to our most frequently asked questions! Click on a specific question to jump to the answer (or keep scrolling to browse all questions and answers). How long is the average visit? What is included in the general admission price? Why do you charge that much for admission? Is the zoo indoors or outdoors? Is the zoo open rain or shine? Do you still have a Subway® or eatery on-site? A wonderful place to start! We are a zoo accredited by the Association of Zoos and Aquariums, and we specialize in reptiles and amphibians. We are dedicated to educating the public on these animals because they are largely misunderstood and underappreciated. We are also committed to their conservation, and we contribute through a number of initiatives. Basically, we’re passionate about herpetology and conservation, and we exist to share that passion with our guests! For more detailed information on the zoo, check out our About page. A lot of factors affect the length of a visit. From the time of year, to the age/interest of your family, to bringing a picnic lunch to enjoy (more on this below)—visits can range anywhere from one to three or more hours. That said, the average visit is about 2 hours. We do not limit your time here, however, so please feel free to stay for as long as you’d like during our normal business hours! General admission includes access to all of our exhibits, live shows, keeper talks, and animal encounters. Shows, talks, and encounters vary by season, but are always included in the cost of general admission—and a visit to the zoo would not be complete without them! Note: General admission does not include the cost to feed the animals or our premium experiences. Well, for starters, we are a privately owned and operated zoo. We do not receive any outside funding. In addition, our rates reflect our commitment to providing a world-class experience for our guests—from the care of our animals to our knowledgeable employees—and all of the behind-the-scenes work that entails. We are accredited by the Association of Zoos and Aquariums, which is no small feat! Accreditation requires the highest of standards in all categories: animal care and welfare, veterinary programs, conservation, education, and safety. Zoos must undergo a rigorous accreditation process every five years, and we have maintained our accredited status since 1986. Meeting these standards means a large investment in the training and education of our employees and the overall care of our animals, a commitment to quality we are proud to make! We sure do! We offer discounted rates for scheduled groups of 15 people or more. Learn more about group visits, including our rates, here. Bringing a school, scout, or other educational group? We offer many services specifically for field trips. See what we have to offer! Zoo exhibits are primarily indoors, but there are some outdoor areas and activities that vary based on the season. During warmer months, some of our animals can be seen in outdoor enclosures; these include several turtle and tortoise species, iguanas, and even our Komodo dragons! Dinosaurs Come to Life is exhibited on an outdoor path and features life-size animatronic dinosaurs. We also have several outdoor picnic areas great for enjoying lunch or a snack. During cooler months, almost everything is located indoors, but because there are a few things to see/do outdoors, we still recommend dressing for the weather. For example, you can still trek through Dinosaurs Come to Life and feed the emus! Also, Parakeet Landing isn’t exactly outdoors, but the exhibit structure is not heated, so it gets chilly during the winter. And regardless of the season, you will need to walk outside to get from building to building. For your own comfort we recommend dressing appropriately for the weather conditions here in Central PA, whatever they may be—hot, cold, wet, or dry! Yes! 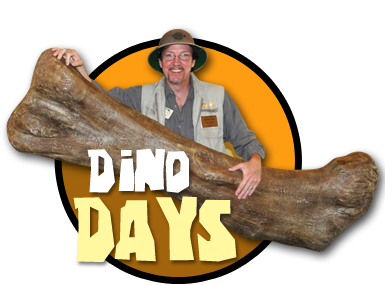 Rain does not affect our business hours or the availability of our exhibits, including Dinosaurs Come to Life. As stated above, we just recommend dressing for the weather so you will be comfortable during your visit. In the event of extreme inclement weather, we may have to close the zoo. Winter storms leading to unsafe conditions for staff and guests as well as thunderstorms leading to power loss may cause us to close the zoo on short notice. In any case, we will post these closures on our website and social media as soon as possible. If you are planning a visit and want to make sure we are open, you can always give us a call at 570-538-1869 to check. Other than that, we are open year-round, in all kinds of weather! Naturally, we think ANY time of year is a good time to visit. While we are open year-round with plenty of animals and interactions, the answer to this question really depends on what kind of experience you are looking to have. Warmer months (April through October) offer a bit more with outdoor habitats, a lush Dinosaurs Come to Life, and more variety with live shows. Zoo grounds and outdoor exhibits are in full bloom and may leave you thinking you’ve been transported to a faraway place and time! Summer especially can be very busy, so while there is more to see and do, the zoo can get crowded at peak times. Cooler months (November through March), however, offer a more intimate experience with special animal encounters and more time with our experts. The zoo also tends to be less busy, giving you and your family an opportunity to go through the exhibits as leisurely as you’d like! We no longer have a food service operation on-site. We do have a small snack bar area called Croc Bites that also includes some indoor seating. Here we offer pre-packaged snacks including chips, pretzels, peanuts, candy, etc. We also sell Coca-Cola® bottled beverages. Because we no longer sell food on-site, we encourage you to bring your own to enjoy during your visit! We have a few oudoor picnic areas available throughout the zoo, as well as limited indoor seating. Note: Picnic areas and indoor seating is subject to availability. During spring and summer months, picnic areas may be reserved by field trips and other groups. Similarly, our indoor seating may be reserved for Reptiland birthday parties. If you would like to check the availability of these areas before your visit, please contact us.